Me: Hello and welcome to my blog, Deirdre. Congratulations on your new book, Sugar. Please tell us briefly about the story behind your book, Sugar? 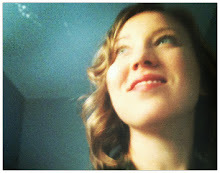 Deirdre: Thank you for having me on you blog, Aditi! It's my pleasure! Sugar is the story of a girl who's told she's not good enough, not pretty enough, not smart enough. Her family and community reinforce this idea and she believes it. She becomes friends with Even Anderson who helps her question these beliefs. Ultimately, Sugar's world blows open and everything changes. It's about friendship, romance, drama, bullying, and hope. Me: What was your source of inspiration behind the book, Sugar? Deirdre: Part of the idea for Sugar came about during a health crisis several years ago. I was sick, and it was recommended I do an elimination diet to see if there was food sensitivity at play. I couldn't eat grains (gluten), dairy, sugar, caffeine, etc. It was hard! But I discovered my emotional relationship with certain foods also was affecting my well being. I had a hard time with the diet, but my health improved so I started asking a lot of questions, most notably what would happen if I learned to love and appreciate my body instead of criticizing it. This inner questioning follows Sugar's trajectory as well, where she learns to see herself in a new light. Me: How did you research for the purpose of this book, especially, how did you adapt the voice of a 17 year old fat teenage girl so aptly? Deirdre: Thank you! I've always been a reader, and I like to think in addition to telling stories, authors show us how to tell stories. I also believe even though I'm no longer a teenager, we still carry the parts of ourselves we've been in the past and can call upon them, recall the emotional experiences, and connections from that time in our lives. Me: Tell us one trait of your protagonist, Sugar, that intrigues you the most. Deirdre: Sugar's trait that intrigues me most is her courage. She's afraid, terrified, of what it could mean to step away from some of the things and people in her life, and she does it anyway. Deirdre: As a reader and writer, I've always enjoyed the art of storytelling. I started writing when my children were very young, mostly for them, and it's evolved over the years. Not having any luck in traditional publishing, I decided to self-publish my new adult novel To the Sea. What followed was an amazing writing community that inspired me to publish the series, Follow your Bliss as a way to pursue my dream of being a published author. Halfway through the year, I was contacted by Skyscape Publishing with interest in Sugar, and the rest, as they say, is history! Me: Why did you choose to write a YA fiction rather than writing in genre, New Adult? And what did you expect your readers to get away with after reading the book, Sugar? Deirdre: I wrote several young adult novels before the new adult series, including Sugar. Young adult fiction has long been my favorite. There's a certain authenticity and magic in YA that lights me up! From reading Sugar, I hope readers take away a few things: empathy, hope, and strength. Empathy for the human experience and themselves. Along with the abiding hope that things can be different and the strength to make it so lies within, whether it's changing something in their lives or saying no to bullying and helping make the world a safer, happier, and more loving place. Me: How will you describe your normal writing day? And what do you do to get away from the stress? First thing in the morning, I spend about a half hour on social media, answering emails, and following up with authorly type things. Writing is such a solitary activity I find it's important to connect first! Then I dig in. If I'm lucky, I'll write for about four hours, stopping for lunch, a social media check in, and then continue into the afternoon. After dinner and some down time, I go back to social media for a check in and then add another hour or two of writing, editing, or organizing my notes for the next day. Each day varies with the typical regular life duties figured in: school, sports, cooking, chores, friends, and family. To relieve stress I surf and practice yoga. Deirdre: My personal passions are my stress relievers on land and sea! Beyond that, I really get behind people and programs that are invested in spreading light and kindness for our planet. Earlier this year my family adopted a manatee. We're very proud parents. ;-) Don't worry, it doesn't live in our bathtub, but a rescue center in Florida, U.S.
Deirdre: I just passed in the revisions for my next YA novel, Pearl, to my editor yesterday! It's a story of friendships that become sisterhoods and breaking the cycle of addiction. I'm very excited for its release in March 2016. Me: Thank you so much Deirdre for sparing time to have this interview session with me on my blog. I wish you luck for all your future endeavors. 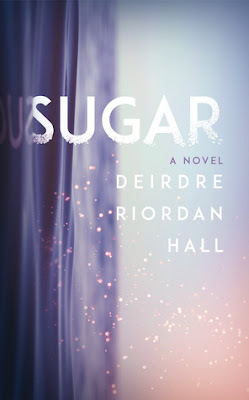 Deirdre: Thank you for reading and reviewing Sugar! Readers and book bloggers are the best! Deirdre Riordan Hall is the author of the new adult contemporary novel, To the Sea.